The most wonderful time of year is even more wonderful when you live in South Etobicoke. There’s nothing like enjoying a beautiful stroll along Etobicoke’s waterfront as snow gently falls from the crisp winter sky. Or maybe you prefer holding yourself up in one of the neighbourhood’s many cozy coffee shops or inviting restaurants. Regardless of how you enjoy celebrating the reason for the season, you have an expansive itinerary of events to choose from when in South Etobicoke during the holiday season. The Westway United Church is hosting their 43rd annual Fall Craft and Bake Sale in the cozy basement of their church. You can look forward to catching up with your fellow community members and purchasing some delicious home-baked cookies, pies and cakes as well as unique hand-made craft. Where: Horner Avenue Seniors Centre, 320 Horner Ave. The Tinsel Tea and Craft Sale is one of the Horner Avenue Seniors’ Centre’s most looked forward to events of the holiday season! Attends can expect a wonderful selection of home baked good, handcrafted items and a variety of sandwiches and sweets available in the tearoom. 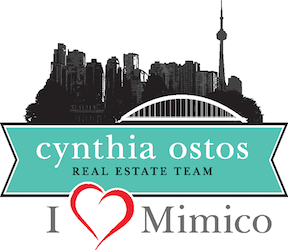 Where: Mimico Presbyterian Church, 119 Mimico Ave.
Mimico Presbyterian Church boasts a fantastic bazaar experience right in the heart of South Etobicoke. You can look forward to everything from baked goods to jewelry to attic treasures. Shoppers can also participate in a silent auction, shop at a country store, pick up a few great new books and handmade items. Once you’ve shopped ’til you’ve dropped, enjoy a warm lunch to top off your afternoon. Witness the holiday spirit in action as The Boulevard Club lights up their Christmas Tree for all to see. 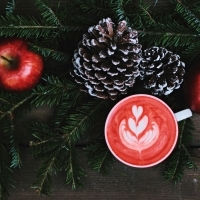 Relax amongst family and friends while sipping on cups of hot chocolate and warm apple cider under the sparkle and shine of the beautiful evergreen. Be sure to pay a visit to St. Margaret’s own Christmas bazaar and take your pick of the amazing crafts, jewelry, homemade candles, bath products, stocking stuffers, baked goods, tea and so much more. It’s impossible to leave this bazaar without the perfect Christmas gift in hand. You can also look forward to a fabulous luncheon and exciting raffles. The Etobicoke-Lakeshore Santa Claus Parade is arguably the most time-honoured Christmas tradition in all of Etobicoke. The parade fulfills an important role in the community as local businesses, organizations, and residents come together to put on a truly impressive display of holiday spirit. Attendees line the streets of Lake Shore Boulevard to watch float after float go by, all for a chance to glimpse the guy in the big red suit for themselves. Head over to Colonel Sam Smith park after the parade to enjoy hot chocolate and ice skating alongside Santa Claus. 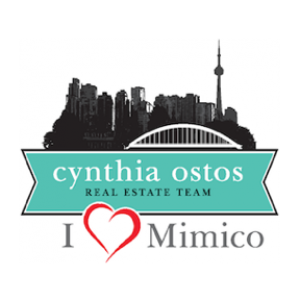 Join fellow Mimico residents at one of their favourite holiday gatherings, the annual Mimico Tree Lighting. Attendees are encouraged to bring handmade decorations to decorate the tree with as well as their own cameras for an opportunity to snap a photo with Santa himself. There’s no better way to get in the spirit of the season than by basking in the warm glow of a Christmas tree with family and friends! You can also expect to enjoy tasty hot chocolate, Christmas carols and more. While Christmas is mainly regarded as a time of happiness and excitement it can also be bittersweet for people who have recently suffered the loss of a loved one. That’s why those who are looking to honour the family and friends who cannot be with us this holiday season should definitely consider attending Ridley Funeral Home’s Holidays and Hope Candlelight Service. Find peace in this free memorial service held at The Assembly Hall and reignite your passion for the holidays while remembering those most important to us. The Christmas Bake and Crafter’s Sale is the answer for any resident in need of a great last minute gift or bake goods to bring to the office party. You won’t be disappointed by the Mimico Presbyterian Church’s selection of crafts and delicious treats. Let us bake for you this Christmas! Refreshments available in their attached café. This one’s for the music lovers! Grab a friend or family member and head over to Mimico Presbyterian Church for performances by local musicians and choirs gathering to celebrate Christmas with beautiful music! Be sure to rest your vocal cords beforehand so you can sing along to carols with the rest of your community! Tickets are $5 & $10 via mimicochildrenschoir.com.